The TS-781 is a Chairman unit for TOA Conference system, of which compact and lightweight design makes it easy to install and store. Placing the speech button in the ON position allows a chairman to speak and disables the speaker to prevent feedback. 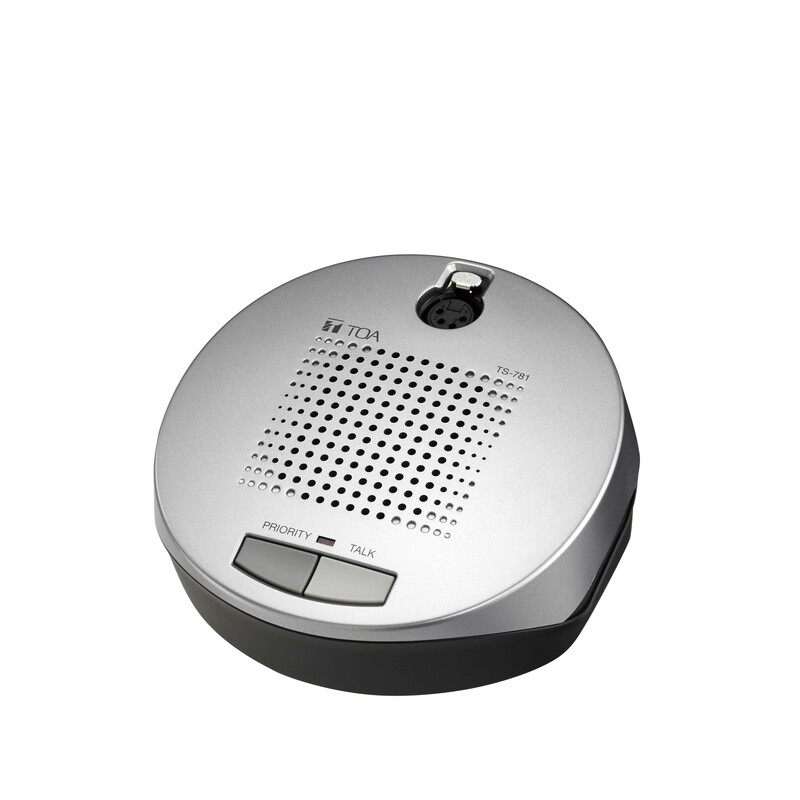 If the speech button is placed in the OFF position, the microphone cannot be used but the speaker is turned on, allowing the voices from delegate units (TS-782) to be monitored. By pressing the priority button, the chairman unit can take precedence over any delegate units. Two types of dedicated microphones are made available for the TS-781 as optional products: the TS-773 standard type and the TS-774 long type.